I am the Librarian at Demopolis Middle School. 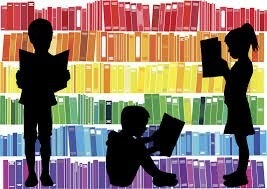 It is my desire that all our students become lifelong lovers of reading! THE LIBRARY IS OPEN: 7:50 - 2:50 EXCEPT CLOSED during Break and Lunch. The library media center operates on a flexible schedule, which allows the use of the library at the point of need by individuals, groups, and /or classes. Students may come individually or with their class. The library's hours are posted above. Students are welcome to drop in between classes IF they can make it to their next class on time. Students may come to the library out of any class, as long as they have a pass. They need to sign in and out. Students may check out 2 books and 1 magazine. Books are due in 2 weeks and magazines in 3 days with a 25¢ fine per item per day late. Students may also come to the library to take AR tests, work on an assignment, take a make-up test, or read. There are several computers available for students to use for school work. At this time, there is not a charge for printing. All students need to have an Internet permission form on file in the library before using the Internet, whether individually or with a class. Let's get WILD about reading! Students can earn a "100" TEST GRADE in their Language Arts class as well as win prizes from the library by taking AR tests in their reading range with a score of 80 or above. Here is how the library prizes work: each time students score at least an "80" on an AR test from a book in their reading range, their name is added to the WALL DISPLAY. At the end of the AR Marking Period, those names are taken down, stirred up, and three names are drawn at random to win GIFT CARDS FROM BARNES & NOBLE ($10, $10, & $15). Then, each shape is returned to students along with a piece of CANDY. There will also be a PIZZA PARTY for students with 15 eligible tests 1st semester, and 20 eligible tests 2nd semester. Finally, each student scoring on a 12.9 or 12.9+ grade reading level on the STAR test will be recognized with a PLAQUEduring Awards Day at the end of the year. Keep reading! Demopolis Middle School students are confident, considerate, responsible, and successful lifelong learners who are contributing members of their community. The Mission of the Demopolis Middle School Library Program is to establish a culture for investigation and a love of literature, guiding students to read, comprehend, and analyze information effectively. This mission is accomplished by providing: equal and maximum access to information resources which extend the limited content of textbooks, instruction for students in acquiring the research skills necessary for independent learning, motivation for students to read and enjoy good literature, and encouragement for students to use a variety of media for a lifetime of learning and pleasure. You can read our eBooks in Destiny! AR TESTS CAN ONLY BE TAKEN AT YOUR SCHOOL. Is there an AR Test for the books you have at home, or for the one you are thinking of buying?